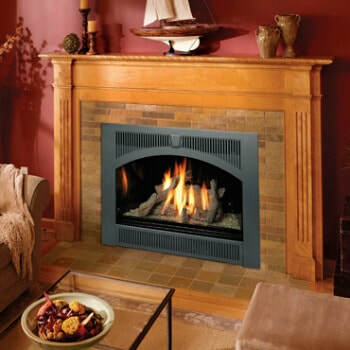 The Lopi fireplaces | 864 | high output gas fireplace, blends an amazing flame display and a large heat output. Customize the 864 HO GS2 with many options to compliment your home! This fireplace boasts a large viewing area of high temperature glass. This unit comes complete with the ANSI-compliant safety screen, which bolsters the safety of the unit. 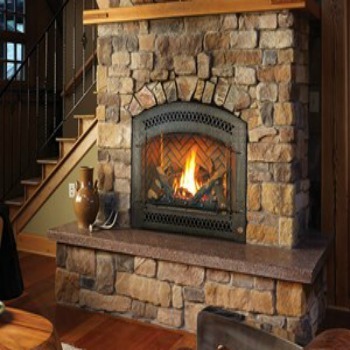 The fireplace also includes beautiful accent lighting to showcase the fireplace and a fan. The 864 offers a unique film-cooling technology that allows for closer mantel clearances and utmost heat output.